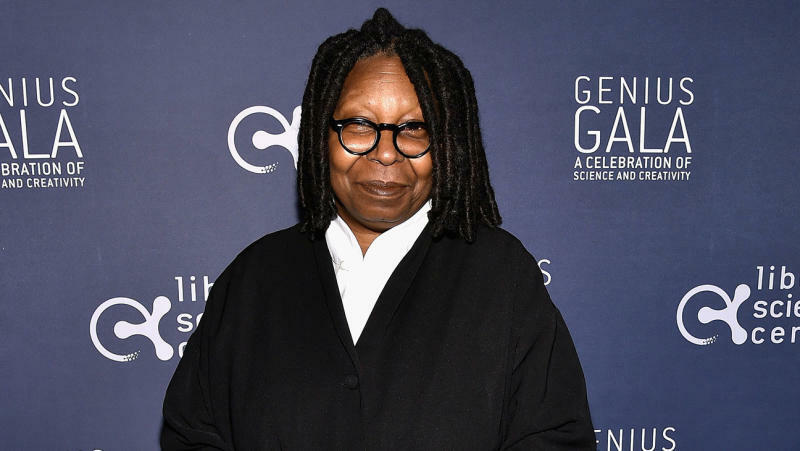 Whoopi Goldberg is executive producing a series about transgender models for Oxygen, it was announced Monday. The View co-host is executive producing Strut, which follows a group of driven models trying to become household names in fashion while challenging gender and beauty stereotypes. The series is set to premiere later this year. The models in Strut are part of Slay Model Management, the world's first exclusively transgender modeling agency. "This show is important right now, because for all of the positive advances the community has made and continues to make, transgender is still a hot-button word that gets people hysterical," Goldberg said in a statement. "People tend to focus on the stereotype instead of the person, and this series will give viewers a unique opportunity to spend time with real people who are struggling with the same challenges we all face as we make our way through the world. You may even be surprised to discover that you have been seeing and interacting with transgender men and women in ways you didn't even realize!" Oxygen Media evp original programming and development Rod Aissa added: "Strut follows a group of inspiring and resilient trailblazers who are working to change the modeling industry and the world around them, by simply being true to themselves. These individuals will empower viewers as they live their lives fully and unapologetically, despite facing many obstacles throughout their journey." Strut is produced by One Hoe Productions, with Goldberg and Tom Leonardis serving as executive producers, and 44 Blue Productions, with Stephanie Noonan Drachkovitch and Bobby Sizemore serving as executive producers. Strut is one of Oxygen's several new unscripted programs debuting this year, including Comedians of L.A., Douglas Family Gold, Fix My Mom and Virtually in Love, as well as new spinoffs Preachers of Atlanta and Bad Girls Rival Challenge. Transgender TV has been a big trend on the small screen for several years, with Laverne Cox earning accolades and breaking barriers for her work on Orange Is the New Black. Jeffrey Tambor has also racked up awards for his portrayal of a transgender individual on Amazon's Transparent. In the unscripted space, Oxygen's sister network E! has found success with the docuseries I Am Cait, focused on Caitlyn Jenner's post-gender transition journey. TLC has the docuseries I Am Jazz centered on transgender teen Jazz Jennings. Last year, America's Next Top Model - which is preparing for a VH1 reboot - crowned its first-ever transgender winner.